“New and Improved” Dennis Lee! 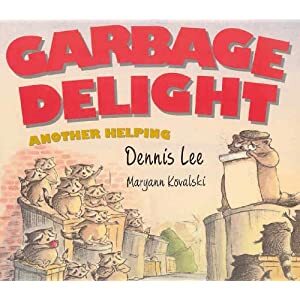 The poems of Dennis Lee are heavily favoured in our house, and so I was pleased to find a new volume called Garbage Delight: Another Helping, illustrated by Maryann Kovalski, during our last visit to the Toronto Public Library. It didn’t take long for us to realize that this wasn’t, as we’d thought, a sequel to the original 1977 Garbage Delight. Instead it’s an abbreviated version of the original book plus “some delicious new verses”, completely re-illustrated by a new artist. I don’t think I’m just being nostalgic when I say I find this disturbing. As anyone with young children will tell you, the reading experience provided by a picture book is different experience than that provided by a chapter book, or a story told out loud. The pictures inform the child’s imagination just as much as the words do. Their eye follows the words and images, whereas they might not glance at the book at all during a chapter book. When you think of a favourite picture book, you’re thinking as much about the pictures as the story. Would Goodnight Moon still be Goodnight Moon minus Clement Hurd? Or The Paper Bag Princess minus Michael Martchenko? You certainly wouldn’t demand that classics illustrated by the author – the works of Dr. Seuss, Shel Silverstein, or Eric Carle – be taken apart and put together differently. Why treat author/illustrator teams differently? I don’t mean to say the book wouldn’t have been good illustrated by a different artist, but it would have been a different book. What disturbs me is how blatantly a re-imagining like this puts primacy on the words. Garbage Delight was a huge critical and commercial success when it was first released. Something about it resonated with the audience. 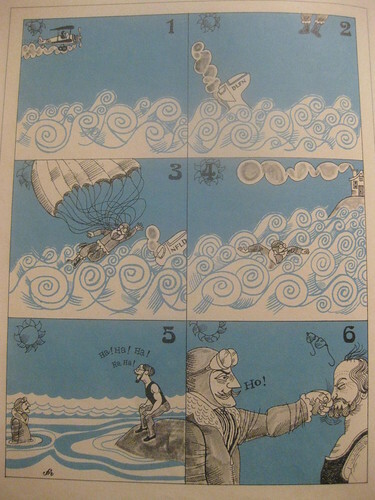 In having it re-illustrated by a new artist the publisher (or author, or whoever decided this was a good idea) is assuming the text alone was responsible for that reception, and that an equal (or better) reception can be expected with new pictures. The book industry seems stacked with people who make this error in judgement. Look at the popular attitude towards graphic novels. 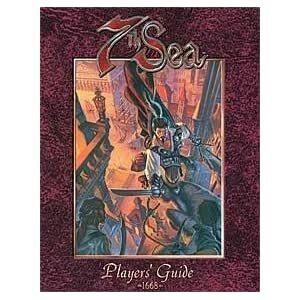 But any savvy graphic novel reader will tell you the graphics and the novel can’t be separated. Jeff Smith’s Bone, Dave Sim’s Cerebus, David Mak’s Kabuki – even team-written works like Alan Moore & Eddie Campbell’s From Hell or Jillian & Mariko Tamaki’s Skim – are works to be taken whole. Frankly, I’m on-side with Newfeld. Authors are, of course, free to pursue whatever result they want with their words, but a picture book is not just an adult book with some colourful bits stuck on to attract the eye of an illiterate child. After all, kids (and grown ups) continue to enjoy picture books long after they learn to read and no longer need the visual cue of the images. The pictures bring more to the whole than representation. They are an entirely different level of the story, or poem. If the author can provide these themselves, great. If an artist is brought in to illustrate, their interpretation uniquely interprets the words. They are partners in the enterprise. The new Garbage Delight fell flat in our house because Maggie found the inexpressive little raccoons confusing – she kept asking why they were all “sad”. She has always preferred images of children to anthropomorphic animals – but maybe that’s just us. I feel a little annoyed that I was tricked into picking up a book we already own – you’d think I’d be more careful. But I have absolutely never encountered this phenomenon before, and was not watching for it. Why re-assign your text to a new illustrator when the original was so successful? It feel straight-up like an insult. Even if I wasn’t the intended recipient of that slap, it’s embarrassing to see it on the shelf. I really hope I won’t ever see it there again. Pretty much exactly how I imagine the Lee/Newfeld relationship - from Garbage Delight, 1977. This is pretty much what I’ve been on about. – Joe Konrath and Barry Eisler in conversation. Everything is not just going to be okay. I don’t care what publishers, the Globe and Mail and Margaret Atwood have to say. Increasingly I am finding that the scope of the ebook debate is being narrowed and dominated by certain interested parts of the book chain. Sure, many things about the ebook are wonderful. And they aren’t imminently going to destroy any part of publishing, Canadian literature or culture. But it’s a precarious perch the ebook sits on, and none of the interested parties seem aware of, or willing to discuss, this fact. Over the last couple of years I have had and expressed grave concerns about elements of a theoretical digital future, and though I sit and wait patiently for these issues to surface, we seem to be coming further and further away from them. It’s because these are Big Picture issues that seem to exceed the scope of any one publisher’s five-year plan, or an author’s concern over becoming published. So listen, let me be crystal-clear about my fears. Do feel free to direct me to the appropriate pat answer. EBOOKS ARE A TOP DOWN PRODUCT. Cory Doctorow or Joey Comeau’s latest schemes to retain control over their own art, distribution and sales included, ebooks are a highly specialized commodity which do not exist but for the grace of large corporate entities. I can not write an ebook without the help of HP, Adobe and Microsoft, and you can’t read one without Sony, Kobo, Apple or Amazon. Whoever wrote that file, however you read it, you are depending on technology which probably won’t work in five years, let alone fifty or two hundred. Big companies made the bed you lie in and their future is your future. Do they represent your interests? This is of archival concern of course, but it’s more than that. I am concerned about the current format wars. A number of players – Apple and Amazon chief among them – are attempting to monopolize the ebook market. Proprietary formats and a “leasing” model to their business plans mean that their products are not transferable and adaptable to infinitely new reading devices. Eventually they will either “win” – gain a large enough permanent market share that it’s worth it to publishers to continue producing multi-format ebooks – or “lose” – fail to get that market share, and give up the project. Those defunct and discarded formats represent loss of information. Amazon scares the bajesus out of me, not because they’re the biggest competition to any bookseller at the moment, but because their business model looks unsustainable to me. Books, unlike many consumer products, aren’t as easy to force into a discount economy. For starters, it really matters to a reader whether their book was written in Canada or in China. So while maybe you can look the other way and buy cheap, slave-made rubber boots from Walmart because, you know, they were only $5.99; you aren’t going to read a book by some faceless cheap labourer just because it’s cheap. At the end of the day, you want the new Philip Roth book and that comes with certain costs. Roth is a big one – the man would like to get paid. Producing his book comes with more costs: editing, formatting, design, marketing, publicity. These aren’t assembly-line skills and believe me, if they could be easily outsourced to Indonesia, they would be. As it is publishers have cut back on all kinds of former publishing necessities like editing and fact-checking because they need to keep prices down. So Amazon’s predatory insistence that the price of books has to come down has a floor. They will never go lower than a certain point. Where that point is is a huge battle ground right now, and it really doesn’t benefit Amazon at all. People who try to comply go out of business, and people who stand firm either go out of business or keep prices up. The author, who is ultimately the product you are looking to buy, just goes to the standing publisher who can give her the best deal. I have news for you, bargain-hunter: when Amazon sells you a new book for 50% the cost of the same book from an independent, it’s because someone is losing money. They’re either trying to create a loss-leader, a hook, or they’re trying to artificially force other publishers to “compete” with that price. Nowadays, they’re trying to sell ebooks at a loss so they we can all jump on board the Kindle and they can either make money on the technology alone or they can win the format war. It’s a big friggin’ gamble. If they lose, they fold up. And guess where your ebooks go? You never owned them, friend. And if it doesn’t seem likely this is going to happen in the next five or ten years, wonder where Amazon will be in fifty years, after your lifetime of book buying. Yes, that might not matter to the buyer. It has been pointed out that the types of ebooks sold tend to be transitory desires. The kind of book you might leave in a hotel room. If you lose the “library” to a technology upgrade or a corporate bankruptcy, maybe you don’t care. But I’m skeptical of this idea of the two-tiered book market. Why on earth would any corporate publisher continue to sell paper books when all their money comes from selling frontlist blockbusters in ebook format? Ideology? And to whom would they sell these paper books anyway? Bookstores are the real vulnerable partners in the book chain. We don’t make or sell ereaders and, as of today, in Canada, we can not sell ebooks. We can only sell paper books. If even as many as 20% of my customers switch to ebooks, I go out of business. Without meat-space bookstores selling dead-tree books, the market for real books gets more and more marginalized. So you might not care about your digital book collection, but will publishers continue to support the paper book “backups”? An even smaller market means the cost of the book goes up – again – which leads to even fewer buyers. 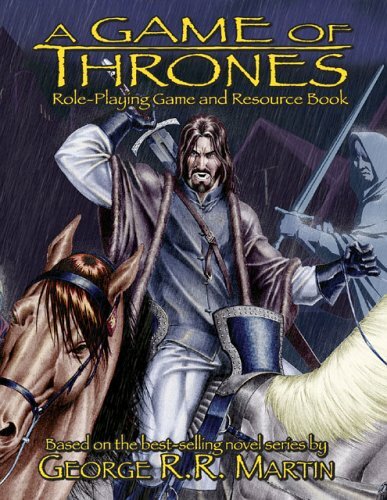 Amazon may or may not consider it worth their while to deal in “premium” Real Books. Buyers may prefer digital books to the inevitable POD (print on demand) ones, which remain hideous. Obviously we’re not there yet. Many, many people still prefer real books. But it drives me nuts when I listen to discussions between publishers and writers, for whom, frankly, the question of digital-or-not-digital is moot, since their product is the content, not the format. They seem to forget the roles of other parts of the book chain. Typical, for people whose vested interest in the product vanishes the minute it is sold. Where are texts without bookstores? Without a second-hand market? Without reliable archives? Under censorship? To people who can’t afford to upgrade hardware every 5 years? Does it matter to them? Not a whit. As long as the frontlist sells, somehow, to someone, through anyone. Now I want to stipulate that I don’t feel my apocalyptic vision of the digital future is in any way inevitable. But I think it will be if we keep treating Amazon and the big book chains as the benevolent godhead of book distribution. Publishers do this, writers do this, and increasingly, customers do this. Doctorow and Comeau aren’t just desperate writers who can’t get publishers, they’re authors who glimpse the danger of a book future where the control of big companies isn’t questioned. They are also, unfortunately, dependent on Our Corporate Overlords to produce their product, but at least the first glimmerings of awareness are there. The digital future is going to be bleak unless we question the health of a market run by a few players. We all know the possible solutions. We need to settle into an open-source ebook format which can be freely exchanged between platforms. We need to open the market up so that independent players can sell the same ebooks that the big chains can. We need to stop pushing for ever-lower prices on texts. Publishing and readership will remain healthy if and only if we consciously address the format’s weaknesses. Tell me exactly what is being done to make sure these texts last. To guard them against censorship. To allow small and large publishers equal access to readers. To manufacture, distribute, and dispose of the delicate and expensive ereader technology equitably. To protect all of our joint investments if, god forbid, some discounter’s insane scheme to control the industry doesn’t quite pan out. Stay tuned for next week’s installment: What Purpose Do Booksellers Serve, Anyway. Maybe by then I’ll have rooted out some answers for you. I came home last night to find a giant box-in-a-bag on my front porch. It was the first of three shipments from the Folio Society! Inside was not only my four Fairy Books and a dictionary/thesaurus set, but quite a lot of bubble wrap, which was greatly appreciated by the young miss. Now they live on the newly-named “Folio Shelf”, where they are getting cozy with some of my older Folio Society acquisitions. Except for the first, the Blue Fairy Book, which is our new bedtime reading.